I am a very big fan of Netflix. It is definitely my go-to for binge watching and streaming movies. It ranks higher than Amazon Prime Video in my book. I started to notice a growing collection of comedic movies that tend to be popular with our stoner friends. Funny movies, but so much funnier if you are experiencing the effects of THC while viewing. And, as you would have it, Netflix has a very specific reason. 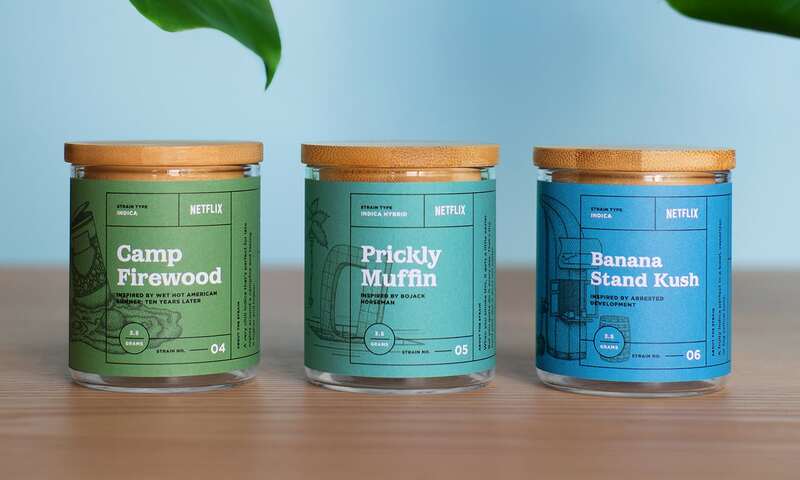 This weekend Netflix introduced its own line of cannabis strains. “The Netflix Collection” (insert shocked face here) that was created based on its most popular shows. It was available from August 25-27 at a pop up event, Alternative Herbal Health Services in West Hollywood. Only to be sold to medical marijuana card holders. These three strands were created to enhance the viewers’ experience and catered to each show specifically. According to a press release, “each strain was cultivated with the specific shows in mind, designed to complement each title based on its tone. For example, sillier shows may be more indica dominant, while dramedies will be more sativa dominant to help the more powerful scenes resonate.” Elements specific to the viewers’ reactions and emotions to each show. This odd collaboration just happens to coincide with the release of Netflix’s own series staring Kathy Bates, named Disjointed. It is a series by the creator, of “Big Bang Theory” Chuck Lorre about a women who is dying to open her dispensary and her journey once she does. Very reminiscent (to me) of the series Weeds. This series has been met with mixed reviews. 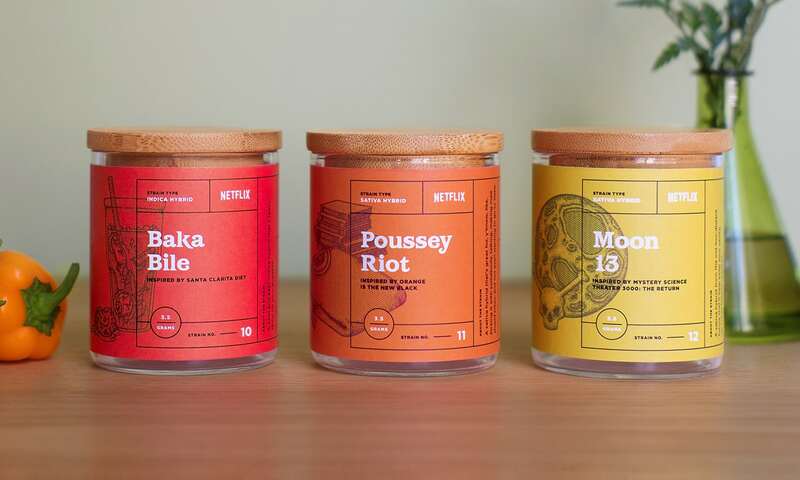 While this is clearly a publicity stunt and Netflix has not profited from the sales of the cannabis strains, do you think that maybe they are on to something? Marijuana is increasingly becoming a favorable alternative medicine and is slowly gaining ground for legalization country-wide. I myself am very interested in investing in this market as I foresee this booming in the next couple years. Do you think Netflix is onto something?? Yes, Netflix knows it stuff!! No way, they should stay in the movie/tv business.